Are you an early year’s childcare professional? Do you wish to learn about the exciting seminars and activities available here at Childcare Expo? If so, give us a call today and speak with our friendly team. As the UK’s number one choice for childcare professionals, this is one exhibition that you simply cannot afford to miss. If you’re a professional working within the childcare sector, you are undoubtedly aware of the importance of staying informed of the latest developments. Here at Childcare Expo, our early year’s childcare experts have worked long and hard to put together an exhibition that is both informative and educational. Sponsored by Morton Michel, here at Childcare Expo, we put on a wonderful show for people who have dedicated their lives to working with children. You will have a chance to mingle with the best minds in the industry, try out the latest products, and discover new and exciting activities to take back with you. Attending the early year’s Childcare Expo really is the best way to keep apprised of the latest information across the sector. 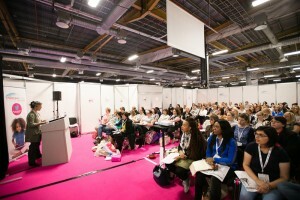 Here at Childcare Expo, our seminars offer a fantastic way of disseminating new and relevant information. Our seminar programme touches on a wide range of important early year’s childcare subjects. Each seminar is delivered by industry professionals, and you will have an opportunity to have your questions answered. Seminar sessions cost £15 unless booked at the show where the price increases to £21. Why choose the early year’s Childcare Expo? The early year’s Childcare Expo is owned and organised by Broadway Events – the number one choice for event hosting services. Here at Broadway Events, we approach every project with an unrivalled passion and a single aim; to provide your guests with the most exceptional experience possible. Over the years, we have formed close ties throughout the industry and provide a wide selection of support services to ensure that any event goes off without a hitch. The creativity that we bring to our events is what sets us apart from our competitors. We strive to go that extra mile to help your event reach its full potential and outshine all other exhibitions. Our team will work with you from start-to-finish to ensure that your ideas are brought to life. As owners and organisers of Childcare Expo, our dedicated team will deliver a dynamic event that serves as an invaluable source of information and ideas for childcare professionals nationwide. If you’re interested in exhibiting or sponsoring, be sure to click here or call our team on 01425 838393. Alternatively, you can register your interest in attending any one of our early year’s Childcare Expos by following this link.